Tracks we love right now and why they matter from Fekky, Majid Jordan, Alessia, Cool Amerika, Macachu & the Shapes, and more. 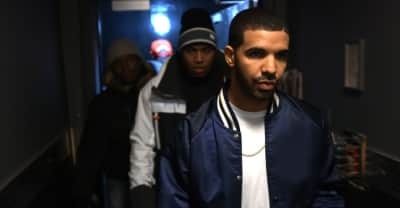 The first in a series of four Obey Your Thirst documentaries from Sprite and The FADER, telling the stories of Drake, Nas, Vince Staples, and Isaiah Rashad. Tracks from Popcaan, Georgia, O.T. Genasis featuring Lil Wayne, Years & Years, Katie Dey, Thundercat, Abra, Prada Mane, Bankroll Fresh, and Ms. Lauryn Hill that we love right now, and why they matter. In no particular order. Tracks we love right now, and why they matter. In no particular order. This year’s Life Is Beautiful festival will run September 25-27 in downtown Las Vegas. The FADER is teaming up with Samsung Milk Music and All Def Digital to present #EMERGE in Los Angeles, with performances by Rome Fortune, Frank Leone, Janel Marrise, Topaz Jones, and SPZRKT. A couple songs we can't stop playing from Meek Mill, Soulja Boy, Retiree, Mila J and more. We're celebrating with a week of stories about amazing images and the people who make them.